I am interested in attending one of your programs, but I was wondering about the language requirement/criteria. My Spanish proficiency is low. Do you suggest that I take some beginning Spanish classes before I apply to your program? Your personal enjoyment and satisfaction of the OSEA program will be based to a great extent on your ability to communicate effectively with Spanish speakers. Any Spanish language courses you can take before entering the OSEA immersion program will greatly enhance your language abilities and, thus, your ability to communicate. You will benefit in the short and long run. Students wishing to participate in this program should have some level of Spanish proficiency to conduct field research. You will continue to learn Spanish through immersion and we expect participants to have varying ranges of Spanish language abilities. Courses are conducted in English. As of 2012 OSEA is now offering one week intensive Spanish courses that are geared to develop communicative proficiency. These courses are tailored to OSEA participants, but open to non-OSEA field school students. Participants have the option to take one or more intensive courses prior to their program start date. Each week is a separate course but enrollment in two or more weeks allow for the creation of an individualized course of instruction. In addition, OSEA participants can chose to similar types of courses at Spanish language schools in Merida, Cancun, Playa del Carmen, or Tulum. We do not recommend a school outside of the Yucatan, unless you have already checked out the cost of travel from that location to Piste and are able to afford that cost. OSEA Spanish courses are competitively priced especially for OSEA participants. Is the language immersion part of your program geared for beginners? We assume that you have taken one year college or two or more years of high school Spanish. The level of fluency that is required to conduct ethnographic research is in some sense higher than what might be otherwise expected of conversational fluency. We ask every applicant to fill out the Spanish Self Assessment Form and the Spanish Evaluation Form (filled out by a Spanish teacher). Students of Maya need not fill out the Spanish Evaluation, only the Self Assessment. I am a native speaker of Spanish, will I have to take the intensive Spanish language course? Native or Heritage Spanish speakers are also required to fill out the Spanish Self Assessment Form and the Spanish Evaluation Form. What is the level of Spanish taught in the introductory course? OSEA provides training in Spanish and Maya at the level at which you are at. This makes it very important for us to have an accurate assessment of your language abilities. This makes it easier for us to design each program according to the cohort of student participants. Study Abroad. I am interested in the OSEA programs, but cannot attend during the spring. Is there a fall semester or quarter? OSEA currently only offers Summer Field Study Abroad programs. We do not schedule courses for the fall. September is hurricane season and it is therefore not an appropriate time to bring students to Yucatán for a study abroad experience. Does everyone learn Maya? How can I learn Maya if I am not fluent with Spanish? Everyone learns at least a little basic Yucatec Maya. Most everyone that we interact with are either Spanish speakers or bi-lingual Spanish and Maya. Learning basic Maya greetings and situational dialogues will greatly enhance your participation in the program. 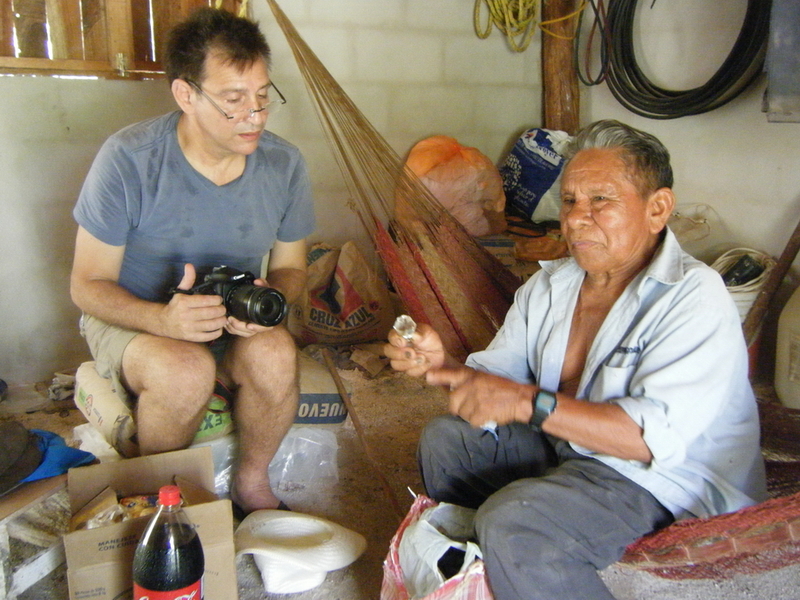 Being able to speak a little Maya transforms your everyday experience into a truly interactive and rewarding immersion. Some students with substantial Spanish fluencies can substitute out the Spanish course for a more intensive and rigorous introduction to Yucatec Maya. Is it safe to bring my camera and computer equipment? What if I have special diet requirements? Please let us know about any diet restrictions on the Homestay Preference and Request Form. Participants are asked to submit this form after acceptance. The diet in rural Yucatan is heavy on meat (pork and chicken), tortillas, beans, tomatoes, chili, rice. Green leafy vegtables are virtually inaccessible. Available are veggies such as chilies, squash, avocado, potatoes, carrots. What is the climate like in the summer? For the most part, temperatures are usually in the high 80s and lower 90s with high humidity and it cools off at night. The climate is very similar that of the US southeastern states (Florida and Georgia). Mid-afternoon rains often cool off the day. Remember that many locations are open-air and not air conditioned as they are in the USA. This is all part of the experience of being in México–many people think the climate is wonderful – mostly sunny with bright blue skies year ’round. This depends on your own requirements and the advice of your physician. OSEA requires a medical form be filled out from your physician stating you are able to participate in our programs. The programs are not physically strenuous but we will do a lot of walking, standing, moving around, and occasional climbing of pyramids. We will work in group situations and the ability to work well with others is important. Medical services are very good in the Yucatán and many medicines can be found locally and often are less expensive than they are in the USA. If you are on any medications, please bring copies of your prescriptions with you. If you have any questions, please contact us. Should I carry cash or traveller’s checks with me? We highly recommend the use of debit cards at ATM machines (Cajero Autómatico) that are found almost everywhere in the Yucatán. In this way you can withdraw money as you need it and take advantage of the best exchange rates. In addition, you will not have to worry about carrying a lot of cash. There are several banks in Mérida, Valladolid, Pisté, and Playa del Carmen: BanaMex, Banco Santander, Bancomer, and others that are easily accessible. Many high-end stores and restaurants will accept credit cards but smaller stores, artisans, and many local restaurants only accept cash. We do not recommend traditional Traveller's Checks since it is often inconvenient and difficult to find a location to exchange them. Some banks have a partnership with banks around the world; the benefits of which are that you do not have to pay ATM charges. For example, if you have a Bank of America account you can use Santander Bank ATM's to withdraw money at one of the best exhange rates and without any machine or bank charges.